Featuring five adults with Tourette syndrome, this film provides an unsurpassed insider's view of "how it feels" to experience the symptoms of the disorder. Although every person with Tourette syndrome experiences different symptoms (and very few people have all of them), there are many commonly-found symptoms that are addressed in detail in this program. 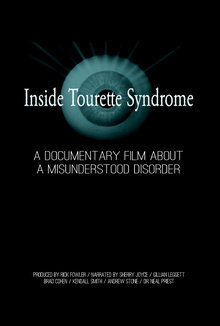 Because individual cases of Gilles de la Tourette syndrome can vary greatly in their symptoms and severity, the producer of this film makes no claims to speak for anyone else regarding their experiences with the disorder. All monies from this film website will go to support Camp Twitch and Shout, a camp for kids with Tourette syndrome.